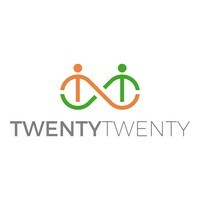 TwentyTwenty Recruitment are an honest, straight talking and reliable recruitment company who specialise in Permanent and Interim: HR, Finance & Accounting, Office Support, Customer Service, Sales & Marketing, Procurement & Supply Chain from entry to Executive level. We partner with all sectors which require these resources. We believe that people are the most important part of everything we do. It’s also an added bonus that we know our onions when it comes to all thing’s recruitment. We work with SME’s in Derby, the East Midlands and nationally to ensure our clients recruit the right people into the right roles that fit with the business’s objectives and culture. To that we go the extra mile and really get to understand our businesses so we identify the exact fit – if we can’t, we tell you rather than provide a second-rate solution.